Education Program of the Supreme Council of the Scottish Rite. 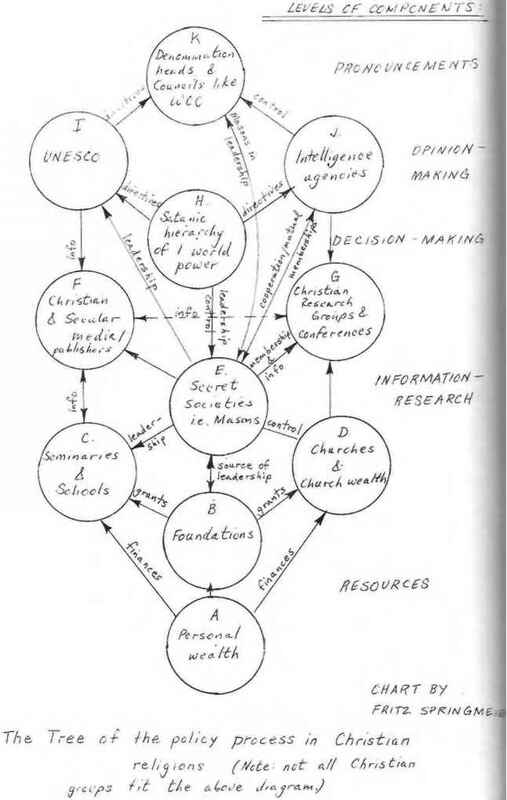 What has the Masonic control and influence brought our public schools? Under the disguise of the elimination of religion, they have revived the Mystery religions within our schools. The textbooks are being written to promote controllable slaves, who have a global view and a syncretic secular or gnostic New Age outlook. Is this last paragraph an overstatement? Not in the least. Much that is going on in the classrooms, seems to be hidden or not noticed by the parents. The North American Montessori Teachers Association (NAMTA) recognizes reincarnation. Maria Montessori the founder of the Montessori system had ties to the Theosophical Society. One of the big leaders of the Montessori system is Elizabeth Clare Prophet. Church Universal & Triumphant runs Montessori schools for all ages of children. The Montessori curriculum is New Age. At this point I will quote two items that Sutton calls to our attention in America's Secret Establishment, that are echos of Hegel and John Dewey.